On the 2nd (Mon), take some stellar pictures from Mirador Punta Ballena and then explore the world behind art at Museo - Taller de Casapueblo. 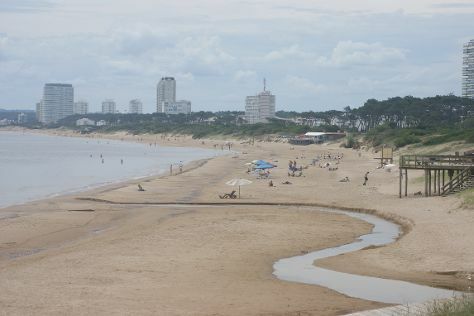 For where to stay, more things to do, ratings, and other tourist information, refer to the Punta del Este trip planner. Curitiba, Brazil to Punta del Este is an approximately 5.5-hour flight. You can also do a combination of flight and bus; or drive. Expect a bit cooler weather when traveling from Curitiba in September: highs in Punta del Este hover around 19°C, while lows dip to 13°C. Finish your sightseeing early on the 3rd (Tue) so you can drive to Montevideo. Go for a jaunt from Montevideo to Canelones to see Pizzorno Family Estates about 42 minutes away. And it doesn't end there: make a trip to Plaza Independencia, take a stroll through Pocitos, explore the world behind art at Museo Municipal de Bellas Artes Juan Manuel Blanes, and take in the waterfront at Rambla de Montevideo. Make your Montevideo itinerary with Inspirock to find out what to see and where to go. Traveling by car from Punta del Este to Montevideo takes 2 hours. Alternatively, you can take a bus. September in Montevideo sees daily highs of 20°C and lows of 11°C at night. Wrap up your sightseeing on the 6th (Fri) to allow time to ride a ferry to Buenos Aires. Buenos Aires is known for nightlife, museums, parks, historic sites, and shopping. Your plan includes some of its best attractions: don't miss a visit to Recoleta Cemetery, admire the masterpieces at Museo Nacional de Bellas Artes, get a taste of the local shopping with Puerto Madero, and admire the natural beauty at Jardin Japones. For reviews, other places to visit, maps, and other tourist information, you can read our Buenos Aires attractions site . Ride a ferry from Montevideo to Buenos Aires in 2.5 hours. Alternatively, you can fly; or take a bus. In September, plan for daily highs up to 20°C, and evening lows to 13°C. Finish up your sightseeing early on the 10th (Tue) so you can travel to El Calafate. On the 11th (Wed), explore the striking landscape of Parque Nacional Los Glaciares. Here are some ideas for day two: grab your bike and head to Gooshe Aike and then head outdoors with Enjoy!. To find photos, ratings, reviews, and other tourist information, refer to the El Calafate trip planner . Traveling by flight from Buenos Aires to El Calafate takes 5 hours. Alternatively, you can drive; or take a bus. Traveling from Buenos Aires in September, things will get little chillier in El Calafate: highs are around 8°C and lows about 7°C. Finish up your sightseeing early on the 12th (Thu) so you can catcht the bus to Los Glaciares National Park. 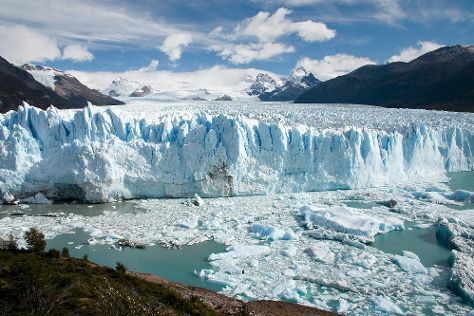 Kick off your visit on the 13th (Fri): explore the striking landscape at Glaciar Seco and then explore the striking landscape at Perito Moreno Glacier. For ratings, other places to visit, maps, and other tourist information, refer to the Los Glaciares National Park visit planning website . Getting from El Calafate to Los Glaciares National Park by bus takes about 2 hours. In September, plan for daily highs up to 8°C, and evening lows to 7°C. Cap off your sightseeing on the 13th (Fri) early enough to travel to San Carlos de Bariloche. 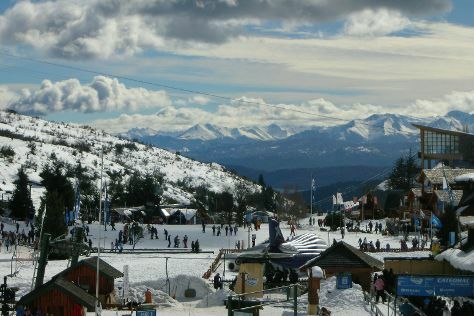 On the 14th (Sat), spend an exhilarating day on the slopes at Catedral Alta Patagonis. The adventure continues: identify plant and animal life at Parque Nacional Nahuel Huapi, get outside with Outdoor Activities, look for gifts at VanWynsberghe Chocolats, and pause for some serene contemplation at Catedral de San Carlos de Bariloche. To find ratings, other places to visit, more things to do, and more tourist information, read our San Carlos de Bariloche trip itinerary planner. You can fly from Los Glaciares National Park to San Carlos de Bariloche in 5 hours. Another option is to take a bus. Expect a bit warmer weather when traveling from Los Glaciares National Park in September: highs in San Carlos de Bariloche hover around 13°C, while lows dip to 0°C. Wrap up your sightseeing on the 16th (Mon) early enough to travel to Mendoza. Famed for its neat vineyards and thriving wine production, Mendoza remains the place to visit for a pleasant combination of relaxation and recreation. On the 18th (Wed), give your taste buds a day to remember with a local gastronomic tour. Dedicate the 19th (Thu) to wine at some of the top wineries in the area. There's much more to do: tour the pleasant surroundings at Parque General San Martin, take an in-depth tour of Museo Fundacional, learn about winemaking at Bodega Tierras Altas, and don't miss a visit to Plaza Independencia. To see where to stay, maps, traveler tips, and more tourist information, read Mendoza tour builder app . You can fly from San Carlos de Bariloche to Mendoza in 7 hours. Alternatively, you can drive; or take a bus. Traveling from San Carlos de Bariloche in September, things will get a bit warmer in Mendoza: highs are around 25°C and lows about 9°C. Finish your sightseeing early on the 19th (Thu) so you can travel to Salta. On the 20th (Fri), take in the spiritual surroundings of Iglesia San Francisco, take in the spiritual surroundings of Cathedral of Salta, admire the verdant scenery at Abra de Chorillos, then learn more about the world around you at MAAM - Museo de Arqueologia de Alta Montana de Salta, and finally contemplate the long history of Salta. For reviews, where to stay, other places to visit, and tourist information, refer to the Salta planner . You can fly from Mendoza to Salta in 2.5 hours. Other options are to drive; or take a bus. In September in Salta, expect temperatures between 28°C during the day and 9°C at night. Cap off your sightseeing on the 20th (Fri) early enough to travel to Iguazu National Park. Kick off your visit on the 21st (Sat): take in the dramatic scenery at Cataratas del Iguazu. On your second day here, take in the dramatic scenery at Salto San Martin, take in the dramatic scenery at Salto Bernabe Mendez, and then head off the coast to Isla San Martin. For photos, maps, traveler tips, and other tourist information, refer to the Iguazu National Park online trip itinerary planner . Traveling by combination of flight and taxi from Salta to Iguazu National Park takes 2.5 hours. Alternatively, you can drive; or take a bus. Traveling from Salta in September, things will get a bit warmer in Iguazu National Park: highs are around 32°C and lows about 17°C. Cap off your sightseeing on the 22nd (Sun) early enough to travel back home.